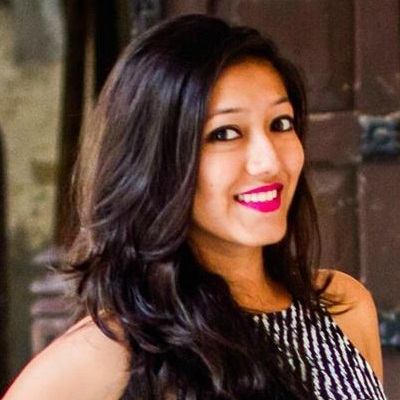 7 Super Cute ‘Every. Damn. 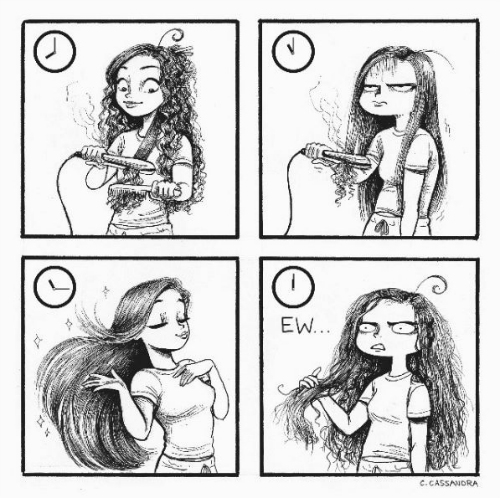 Day’ Comics - Every Girl’s Life EVER! We are girls and we love our lives! But, BUT (there’s always a but!) we do face some problems every day that make our lives a little tough. 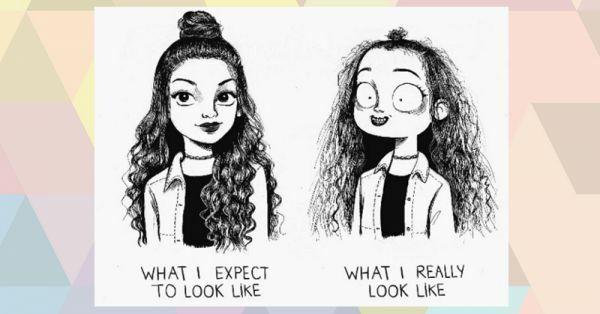 Moments like when you just can’t get your eyeliner on point, when your hair refuses to stay in place no matter what you do, when you want to wear a dress, but it doesn’t fit you anymore. Well, there, there, you are not alone in this. 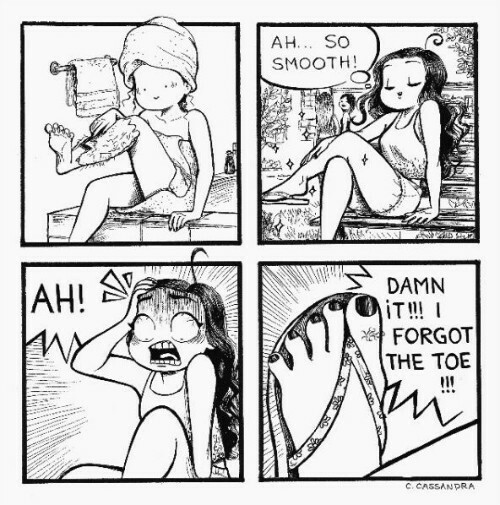 There are some problems EVERY girl faces! 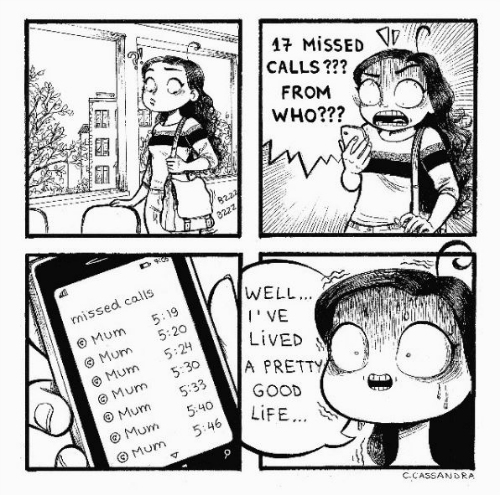 Comics illustrator Cassandra Calin - a girl like one of us - decided to illustrate the problems we all face, the result of which is super-cute. We are sure you’ll relate to it! 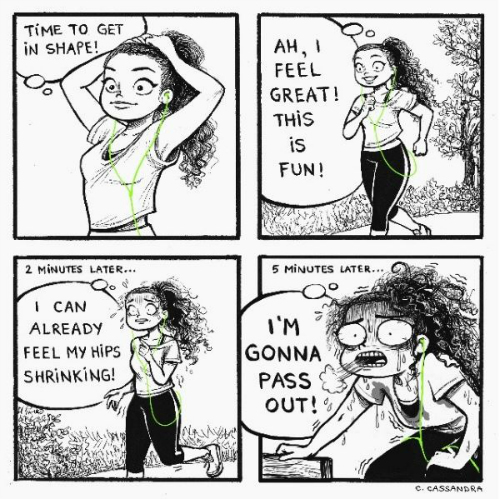 These comics are funny and just too honest. 2. The whole world vs… MOM! 3. 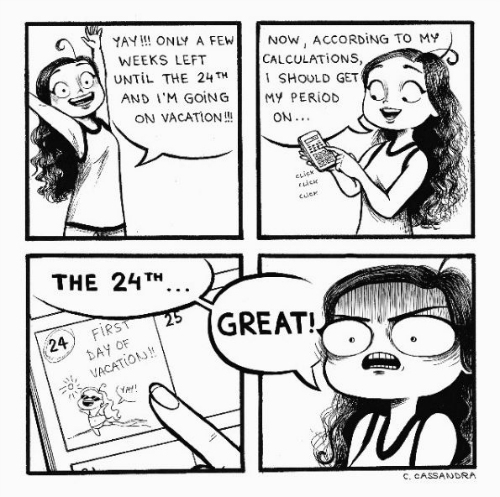 Period - ruining the days of our lives since...forever! 4. Arghh! Why do I have so much hair? 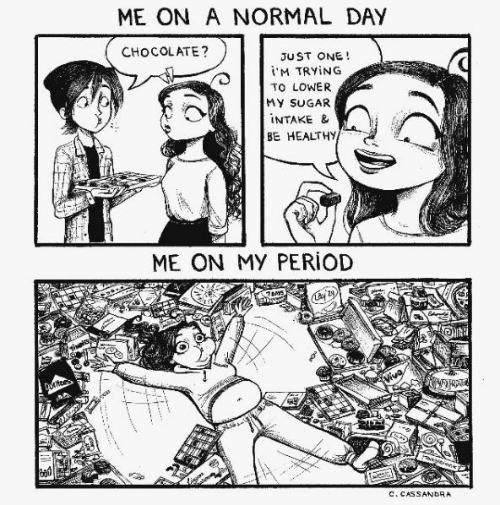 When periods mess around with our diets and we just don’t have any control over our hormones...worst feeling ever! This sketch is so honest! 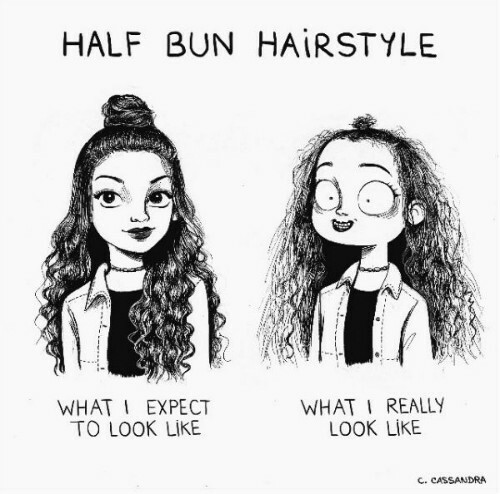 For us, all days are bad hair days. Well, not all, but most days are... Image: Cassandra C on Instagram MUST-READ: The Most ADORABLE Things About Being In Love… Illustrated!! MUST-READ: 8 Bra Cartoons That’ll Make You Laugh Till Your Bra Pops Open! !